The SVGPF made a grant of USD 24,600 to Fundacion Cethus, in partnership with the Barrouallie Heritage and Tourism Organisation, the Whale and Dolphin Conservation and the Animal Welfare Institute, to support the next six months of a long-term program to (i) assist the remaining humpback whalers in Bequia transition to sustainable community-based whale/nature watching and (ii) evaluate and find economically and environmentally sustainable alternatives to small cetacean (small whales and dolphins) hunting in Barrouallie, St Vincent. The training also involves exposure to whale watching and in this regard two Fishers from Barrouallie and the son of a Whaler from Bequia will attend the Whale and Dolphin Conservation Naturalist Workshop in Boston, Massachusetts in April 2017. The program, which launched in 2014, has already provided expert training, including a series of practical workshops, to Bequia’s ex-whalers to provide strong a foundation for their growing whale watch operation. The ex-whalers began taking tourists out to see whales (and other species and locations of interest) in 2016 and no humpback whales were hunted. 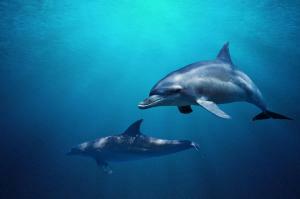 All work done by Fundación Cethus since 2014 was funded by Whale and Dolphin Conservation, Animal Welfare Institute, the European Outdoor Conservation Association, Cetacean Society International and OceanCare. As the whale watching operation grows in size and sophistication, the program will continue to provide hands-on support including, next, the development of a code of conduct for whale watchers to ensure the safety of both whales and tourists. In Barrouallie, now that we have collected through a local fisherman that proved to be a very valuable resource for 22 months, (including a full year) of data on landed cetaceans, the project will begin to evaluate the impact of the hunt on local populations and assess the value of alternatives (including whale-watching) to the local community and economy. Based on a model piloted in 2015, it will also launch an education program in St Vincent’s schools—to teach, from the ground up, the value of protecting cetaceans and the marine environment. This education program is foreseen to be conducted by the Barrouallie Tourism and Heritage Organization, after some of its members are trained and provided with materials. Issue of concern The small island of Bequia is the site of a 150 year-old whaling operation targeting north Atlantic humpback whales that breed in the warm waters of the Caribbean each spring. Today the whaling operation comprises a handful of local fishermen who hunt one to two whales a year to sell the meat and oil for local consumption. 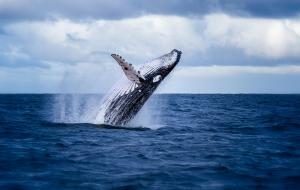 The whaling operation is permitted by the International Whaling Commission (IWC), but is controversial with locals, tourists and the international community. The community of Barrouallie on the island of St Vincent has a longstanding hunt of ‘blackfish” – species of small whales including pilot whales and killer whales, and dolphins, including Risso’s dolphins. The cetaceans are caught opportunistically by local fishermen and processed and sold locally in the form of oil and ‘crips’ (fried meat and blubber). Very little information is available about the extent of the hunt or its impact on cetacean population but, based on the known life history of the species, is expected to be unsustainable for the killer whales at least.